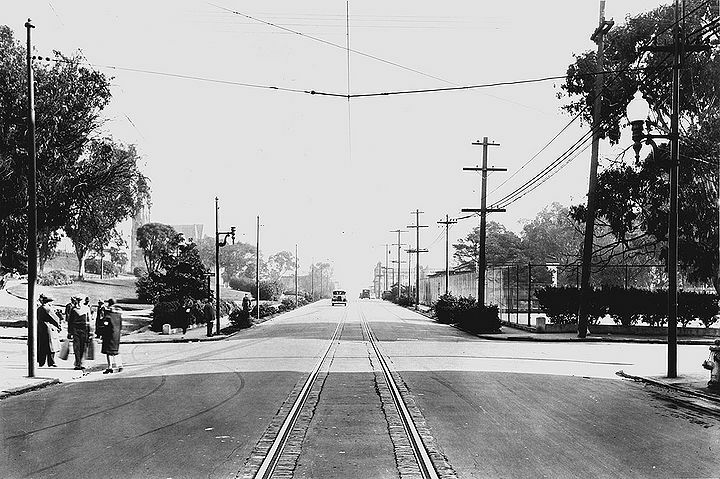 Turk Street east at Laguna with Jefferson Square at left, 1930. 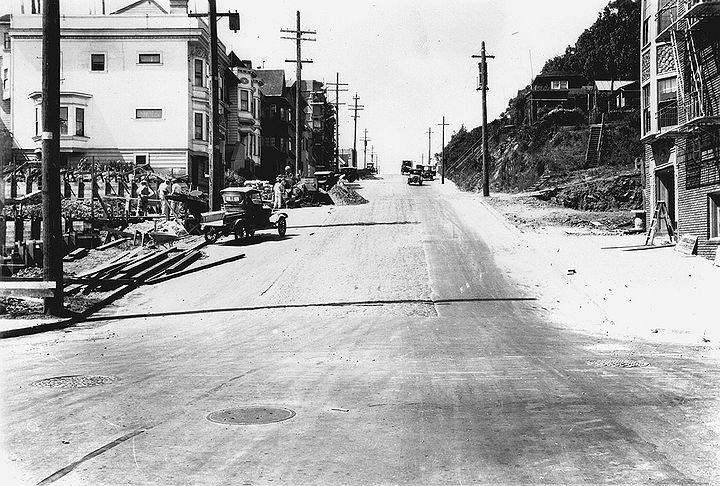 Turk Street west at Broderick Street, with today's Anza Vista Heights at right, Sept. 27, 1927. Turk Street west from Masonic. 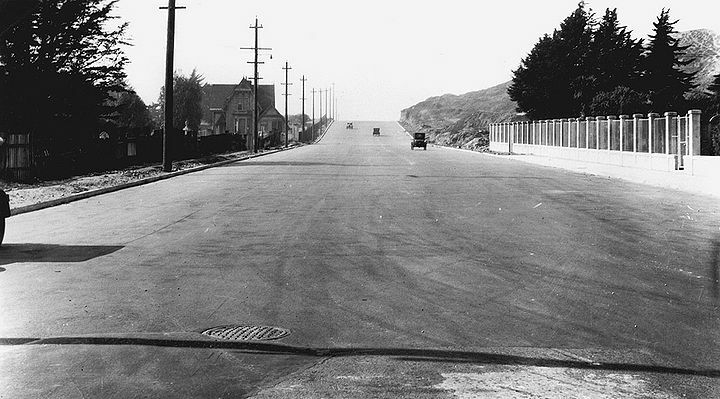 Lone Mountain College at right, Nov. 1, 1927.